International Companies who pursue a Labor, Employment & HR deep strategic change. Currently Jorge Rosas is serving as the Global Director of Human Resources for Cinepolis, a company that has long been considered to be a major player in the entertainment industry. At the age of 29, he was recognized as the youngest partner at Baker and McKenzie. Most recently, he participated in a program held by Stanford University, entitled "Interpersonal Dynamics for High-Performance Executives." 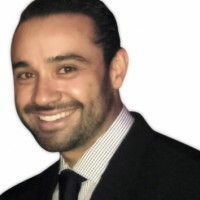 Jorge founded a society for UPenn alumni working and living in Mexico. The society is designed to promote business growth and connections within the community. He dedicates his success to his burgeoning network and flexibility to adapt and overcome challenges to transform them into positive results.